Bachelor of Business Administration (BBA) is a quite popular graduate level course in India among the people who want to make their career in the field of business management. BBA is a 3 years degree program which is further divided into 6 semesters. The BBA course is available in both distance education and regular mode. 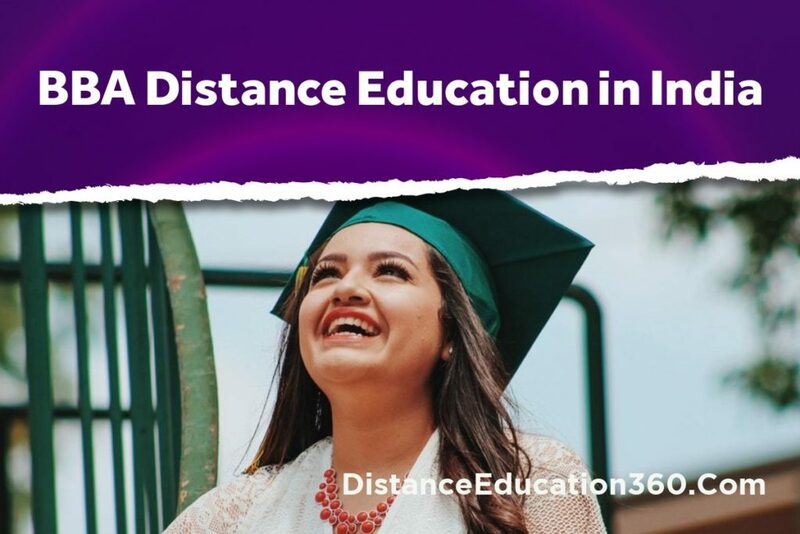 In this article, we’ll discuss about the BBA Distance Education and Universities in India that are offering this course under the distance education mode. ICFAI University is a renowned name in the field of management education. It’s regular MBA ranked among the top MBA courses in India. The university also offers distance education courses and BBA is one of the popular courses offered by the university. The ICFAI BBA is a 3 years degree course and students with 10+2 can apply for admission. The total fee of the course is INR 34000 if you choose to make the payment in one go. If you choose the EMI option, the total fee of the course would be INR 36000. 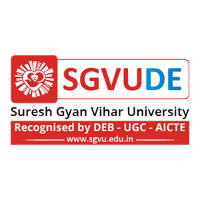 Suresh Gyan Vihar university is a popular private university located in Jaipur, Rajasthan. Along with the regular courses, Suresh Gyan Vihar University offers MBA, BBA, MCA, BCA, and PGDCA courses under the distance education mode. Suresh Gyan Vihar University BBA course is a 3 years online course that is approved by UGC-DEB. There is no age bar to join this course. The total fee of the course is approx. INR 65000. Amity University is India’s one of the top ranked private university located in Noida, Uttar Pradesh. The university offers Distance Education BBA course under it’s distance education wing known as Amity School of Distance Learning (ASODL). The BBA distance education course offered by Amity University is an online degree program. Students who have completed their 12th standard can apply for admission. 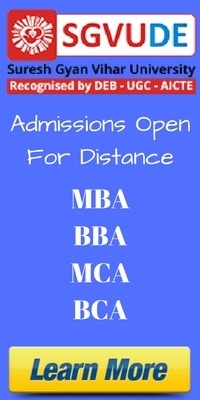 The Amity BBA fee is higher compared to the other universities offering distance education courses in India. Amity charge approx. INR 112000 for the 3 years BBA distance learning course. Sikkim Manipal University is the well-known name in distance education space. Since years the University is maintaining its position in the field of distance education in India. The university offers many management and technical professional courses under the distance education mode and BBA is one of the popular courses that SMU-DE has to offer to students who have completed their 12th standard education. The minimum duration of SMU-DE BBA course is 3 years but students can complete the same in maximum 5 years duration. The course is approved by UGC-DEB. After joining the course, all the students receive self-study learning material in the printed and digital format. The total fee of Sikkim Manipal University Distance Education BBA course is approx. INR 100000. 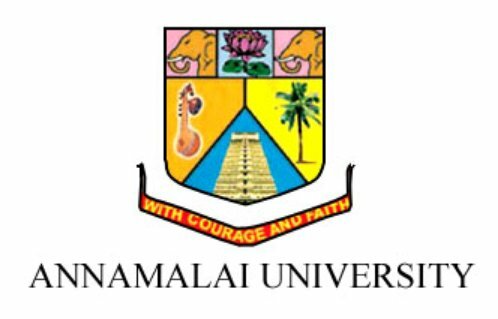 Annamalai University is one of the oldest and popular universities of south India. It is also one of the oldest universities offering distance education in India. The distance education MBA is offered by the university is among the top ranked distance MBA courses in India and the Distance BBA course is also quite popular among the students. The 3-years degree course is divided into 6 semesters and can be done by students who have completed their 10+2. The university offers 2 BBA courses i.e BBA (General) and BBA (Computer Application). Both the courses are being offered under Annamalai University directorate of distance education. The BBA course offered by Annamalai University cost approx.. INR 30000. Lovely Professional University (LPU) is a renowned name among the private universities in India. The university is very popular in the state of Punjab and other state nearby. Although, students from all over the world visit LPU to pursue regular courses. The university has a distance education wing that offers distance education courses in many disciplines including management education. The BBA course offered by LPU is a 3 years UGC-DEB approved degree course that students can join after completing 12th or 10+2. The total free of the course is approx. INR 65000. Indira Gandhi National Open University (IGNOU) is the most reputed and the largest open university in India. The university offers few hundred courses under the distance education mode and all of the courses are approved by UGC-DEB. IGNOU offers a specialized BBA course in retailing. IGNOU BBA in retailing is a 3 years program that can be completed in maximum 6 years. The minimum age to join the course is 18 years and maximum is 24 years. The total fee of the course is INR 27000. 10+2 or equivalent is required for admission. There will be a personal interview at the regional centre before admission. Who Should Take a BBA Course? People who are planning to do an MBA degree after their graduation. People who want to secure a job in corporate world. People who want to become an entrepreneur and want to learn the basics of business management. People who want to get a better pay package at an early stage of their professional career. People who want to do a degree that can help them improve their overall personality and confidence level. Since BBA is just a graduation level course, someone should not expect a high paying job just after completing their BBA degree. Although after some experience, someone with a BBA degree can get a better position in a company. Here are some career options after BBA.